Bernard Marriot Wife Pushes For Lloyd Mutasa Return To Dembare? Farai Dziva|Lloyd Mutasa is set to bounce back into the Dynamos technical team, according to state media reports. Board chairman Bernard ” Magitare” Marriot is said to be pushing for the return of the gaffer as he has no confidence in Lloyd Chigowe steering the team to the desired levels. “You see the things at Dynamos, no matter how you try to professionalise them, the buck stops with Marriot. 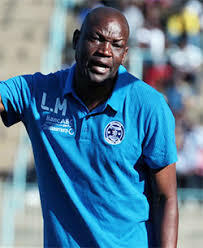 Mutasa is a favourite of Marriot’s wife who has been pushing her husband to reinstate the former coach,” a source said.